Exploring the minds of fictional characters is not a new idea in gaming, but Observer (stylized as >observer_ ) is one of the best implementations to date. Psychonauts is perhaps the most iconic mind-exploration game, featuring a boy whimsically repairing deranged minds. More recently, Remember Me focused on changing memories as a means to an end. But, unlike these two games, Observer doesn't have the luxury of altering minds, mostly because those you explore belong to the deceased. Like Bloober Team's last game, Layers of Fear, Observer is primarily a horror experience. It differs because it contrasts the unreal mindscapes with an amazing science fiction world. Part film noir and part cyberpunk, the environments in the game make the Blade Runner movie seem bland in comparison. 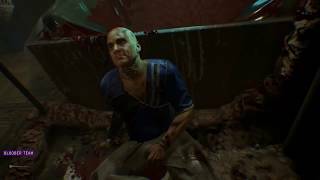 Observer retains the horror effectiveness of the developers' last game but blends it with a stupendous location to produce a captivating horror-adventure merger. Set in 2084, you take the role of an Observer named Daniel Lazarski. Observers have the unnatural ability to jack into the neural implant of individuals and explore their mind—even after they have expired. As cybernetically enhanced detectives, Observers are invaluable when it comes to solving crime. This time, the case is personal. Daniel receives a call from his estranged son, but it is cut short in cryptic fashion. The call traces to a rundown apartment block in a seedy part of town. While the tenement building is in a sad state, it is not quite as sad as the headless body Daniel finds in one of the apartments. Coincidentally, the building is sent into lockdown—there is a suspected nano-virus outbreak—preventing escape and outside communication. The killer might be trapped inside too. Daniel must follow the trail of deadcrumbs to find answers. Most of the game transpires in a multi-story apartment block. Thanks to the power of Unreal Engine 4, the world is incredibly detailed and atmospheric. The tenement building is dilapidated, with piles of trash in hallway corners and cigarette butts lingering under the fluorescent glow. Cleaning robots stagger down the cramped hallways, doing their best to reduce the filth. Dim lighting makes objects harder to decipher without getting close. Rain falling in the courtyard helps to set a particularly gloomy mood. Even animated blue holographic lines define the edges of objects, giving the game a distinct visual presence. The technology of the world is retro-futuristic, with cathode ray tubes and cassette tapes contrasting with advanced body modifications. The rise of human augmentation is represented by the janitor, an ex-soldier with robotic limbs filling the gaps left by war. The colors and style of the world are reminiscent of Blade Runner but it takes on a life of its own. Moving through the building is generally non-linear, with maps on walls that help to orientate and several alternate routes. Some of the brick walls have been crudely knocked down to create wash closets and ad-hoc hallways. Most of the individual apartments are locked to prevent the spread of the possible virus, but Daniel can still talk with people inside via intercom. 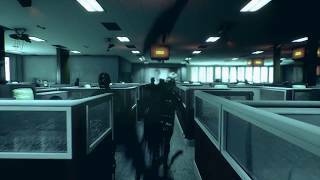 While the general design is to ascend the building and find the killer, player autonomy is usually quite high. Despite the relatively small size, just exploring the degenerate cyberpunk locale is regularly fascinating. Given the setting, it is no coincidence that Daniel is voiced by Rutger Hauer, one of the stars of the Blade Runner movie from 1982. His mature and deep voice is quite effective at producing concern and sarcasm while he partly narrates proceedings. Daniel will talk with a broad cast of characters residing behind locked doors, and this usually involves some basic dialogue choices. Like modern-day detectives, canvassing the neighbours reveals more about the state of affairs such as their fears of the nano virus and their dislike of the police. Most conversations are optional, but you can chat with a hacker, sexbot, drug addict, and a religious man who advocates against human augmentation. All of it builds layers of delightful narrative. These friendly chats with occupants can take up a fair chunk of game time but will only rarely lead to something more involving. When not talking to the residents, you are probably going to be doing some basic detective work courtesy of simple interaction and augmented vision modes. Terminals can be used to read email or browse files. Buttons or keypads might open hidden doors. You will still need to pull and push open drawers and doors, which functions well enough most of the time. There isn't a great deal of interaction, but it all makes sense. Also, with his special eye implants, Daniel can filter environments for biological or electromagnetic material, such as stab wounds or security cards. Scanning reveals more information about the area, be it a crime scene or an organ harvesting dungeon. Unfortunately the number of items to scan is anaemic in places that look rife with detail. Rooms covered in blood might not have much, if anything, to analyse and most of the retro tech cannot be used or investigated. The reason for this lack of detail is because not every area is directly relevant to the main story, but changing the vision mode and coming up empty was disappointing more than once. The real draw card for the game, and the part that is equally disturbing as it is alluring, is when you delve into the minds of the recently deceased or traumatized. As you might imagine, these moments feature more horror than in the real world as you walk through changing landscapes. But it's not just a sequence of jump scares; in fact, great effort has gone into making these sections bizarre and unpredictable. The world will change as rooms and doors are added or removed on a whim. Walls will pulse, twist, or vanish. Visual effects, such as distorted textures or perspective shifts, are rarely short of impressive. One peculiar section involved dragging a floating TV to use as a portable light source while it emitted the sounds of a child laughing. Another required Daniel to hide from a disfigured monster as it patrolled between office cubicles. Bloober Team's command over the rapidly-changing world is astonishing and, like in Layers of Fear, there is good variety in how the game tries to freak the player without always resorting to overt surprises or loud noises. The locations inside the minds are not just twisted versions of the apartments. You'll visit bizarre versions of a nightclub, hospital, and prison. Part of these grey matter vacations are about the important moments in the victim's lives, to provide context of their association within the overall story. It typically culminates into an abstract look at their final moments at the hands of a brutal killer. Not all the visions are of the victim; some of Daniel’s own memories bleed through and reveal the strain these mind-bending journeys have on his psyche. Each visit to another mind leads to digital artefacts in the real world and this causes advertising posters to show upsetting imagery until a drug is consumed to restore sanity. There is both trepidation and excitement towards another trip down the rabbit hole. Once inside a mind, the courage to turn around is rarely mustered with ease. After exploring a handful of minds, shooting the breeze with the neighbours, and scanning areas for items, it took approximately seven hours to complete the game. Despite exploring thoroughly, it felt like I barely scratched the surface. It is clear that Bloober Team are skilled when it comes to scares and disturbing visions, but maybe there is room for more substantial adventure elements in their next game if this is the type of world they can build to compliment the nightmares. I’d love to see another corner of this universe and interact with it more thoroughly. If you are tempted to return to a specific point in Observer, you'll have to start again because there is no manual saving or chapter select option. But once you know each link in the chain, it is possible to bypass some of the mind trips and finish the game in a few hours. Bloober Team have stepped up with Observer. Not only is it a weirdly unsettling horror game, it's a good adventure with an incredible setting. The cyberpunk environments are rich with detail and thick with atmosphere, raising favourable comparisons to the Blade Runner movie. The apartment building you explore is home to various characters, locked behind doors, which provide audible slices of fascinating narrative to fill the gaps as you pursue a brutal murderer. Areas are packed with interesting clutter, and special vision modes help locate objects that might lead to a new clue. When tracking the killer, you will pause briefly to enter the twisted minds of the dead or suffering. These bizarre visions are technically impressive and regularly uneasy viewing. As a horror game, it succeeds without relying heavily on brash jump scares. 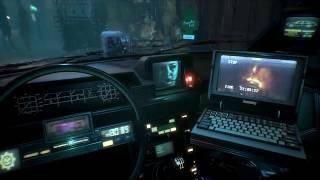 While you may be drawn to Observer just to experience the nightmares, the game’s best feature is actually the grounded science fiction world built around them, and together they make for a game that is hard to forget. Exceptional detail in an amazing fictional setting. With similar designs to Blade Runner, the retro-futuristic styled world is consistent and alluring. Trips through minds are quite astounding. Voice work is solid but music is minimal. Outside the varied mind trips, gameplay mostly consists of scanning environments for clues. There is basic interaction with the world (terminals, switches, doors) although not quite enough. World building is incredible with layers of information provided by characters locked in their apartments. Interesting and well-delivered main story complimented with relevant mind trips. Some early sections did have minor framerate issues and there were occasional stutters. Observer features remarkable trips through fictional minds that unsettle and terrify without relying on excessive jump scares. The nightmares contrast wonderfully with an atmospheric and detailed cyberpunk world that is always fascinating to explore.